Real Estate analysts have indicated the increase in value to your home with a quality bathroom renovation is approximately 3 times the cost of the renovation. The key word here is “quality” because a property assessor can sniff out a poorly built bathroom faster than a blood-hound sniffs out a freshly laid trail. 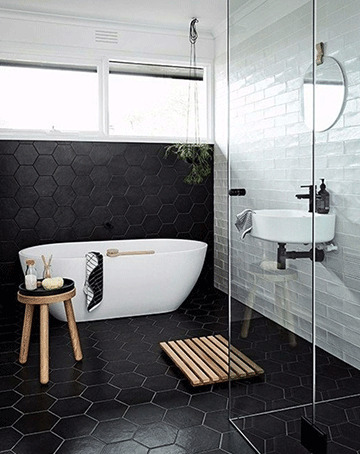 Cutting corners on a cheap bathroom renovation might save a few dollars upfront but will come back to bite you when you get your home revalued or when costly repairs are needed a few years down the track. There Are Three Types of Bathroom Renovators. Which Will Your Choose? They take on multiple projects at a time (which reduces their attention to detail on your renovation and makes them unavailable to talk to you throughout the job). They typically hire slick salespeople who are trained to advertise low cost renovations to attract your attention but quickly upsell you into paying thousands of dollars for “extras” to get the finish you’d expect from a professional renovation firm. They do your work fast and cheap; taking short cuts wherever possible to meet deadlines. In many cases, they’ll hire tilers on the cheap from overseas on a 457 visa (temporary work visa). If you do a quick web search you’ll find lots of complaints about these types of contractors, mostly about poor quality workmanship, difficulty with communication once the project is underway… and discovering many of the things you thought were included in the project aren’t provided, or require additional investment from you. The carpenter, handymen and plumbers who sell themselves as bathroom renovators (often on a cash-in-hand basis) but who are not legally permitted to renovate bathrooms. They cannot give you a warranty and often don’t provide you with a contract to cover your project in case of problems. Specialists in bathroom renovations like us with the team, experience, insurance and commitment to bring you the highest quality bathroom renovation tailored to your needs and budget. Obviously we hope you’ll choose a specialist like us. And the remaining pages of this proposal explain why we believe we are perfectly positioned to create the perfect bathroom renovation for you. main bathrooms from $20,900 (incl GST) see pricing for details! ensuites from $19900 (incl. GST) - see pricing for details! Your new or remodeled bathroom will stay in tip-top shape for many years thanks to our top-notch workmanship, first-hand industry knowledge and experience, use of high-quality products and a 7-year guarantee on all our work. From simple decorating assistance to complex bathroom design and complete renovation services, our experienced team will be happy to help. Our principals Steve and Ken have both been working in the industry for over 20 years (more about us). You’ll receive honest and valuable advice and services that match your budget and wishes. Beach Bathrooms redesigns, remodels and renovates bathrooms in the Northern Beaches and North Shore. Mosman,Balmoral, Frenchs Forest, Belrose, Davidson, Manly, Seaforth, Fairlight,Balgowlah, Manly, Fairlight, Manly Vale, Freshwater, Curl Curl, Dee Why, Narraweena, Collaroy, Narrabeen, North Narrabeen and all surrounding suburbs. We guarantee our work for 7 years. Approved for Home Warranty Insurance for projects over $20,000. Both me and Lynn would like to thank you for the wonderful bathroom renovation you completed recently at our home. It is everything we had hoped for. © Beach Bathrooms 2016. All Rights Reserved.